Here lie the funniest Japanese stories ever told. Or so they say, because when it was decided in 1941 that tales of wayward sons in the red light district, mistress mishaps and too much saké were inappropriately funny for wartime, the famous rakugo performers who buried them under this slab vowed the stories would never be performed again. 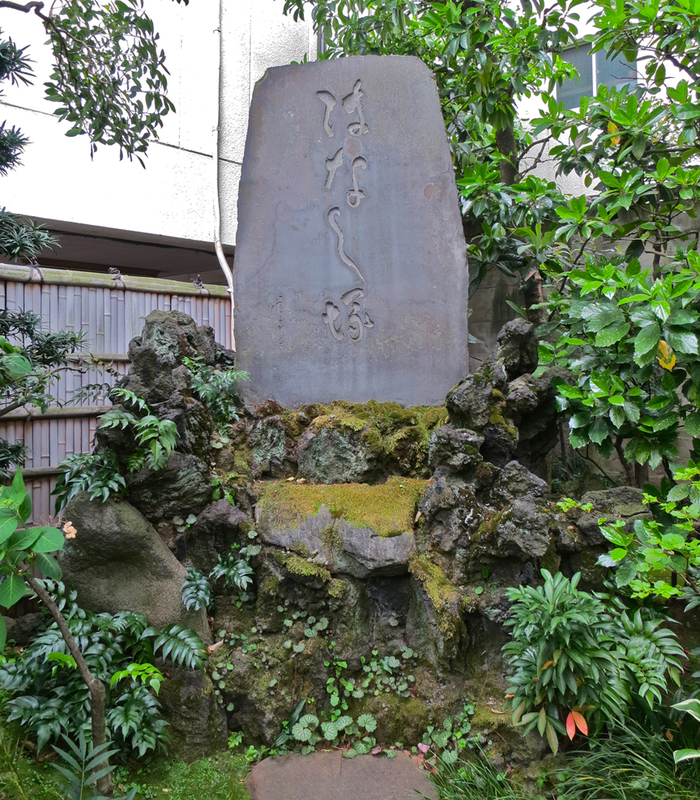 Fifty-three of the most popular rakugo tales of all time – including “Mummy Hunting” and “A Crow In The Morning” – are entombed at this modest shrine near Tawaramachi Station. Rakugo is traditional Japanese storytelling, in which one actor performs every part while sitting on stage. 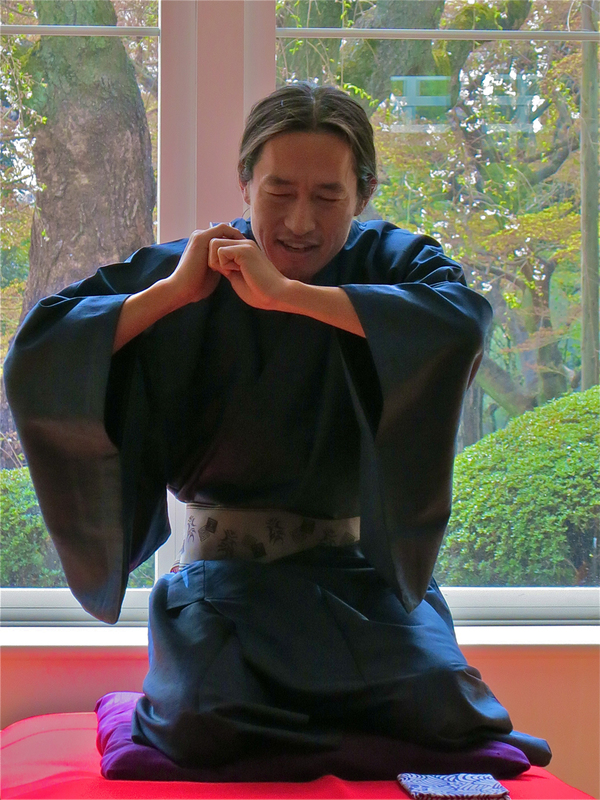 Here is my friend Hiroyuki Ootomo, performing some non-entombed rakugo pieces at the German Embassy last year. If you’d like to see what rakugo is like, there’s a two minute video of him performing in English on YouTube. The names of all the famous rakugo actors who prayed for success here at this little shrine are written on the wall outside! 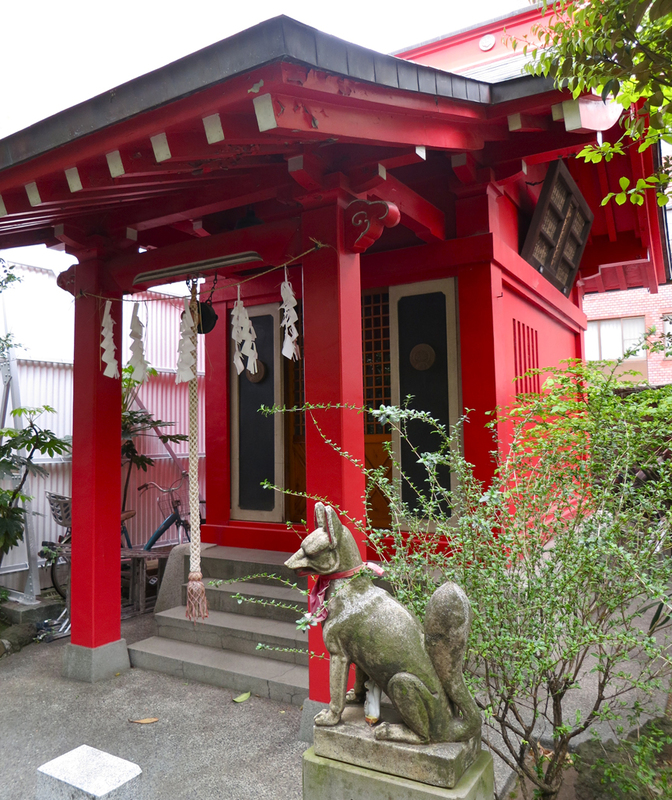 The inari fox guarding the rakugo shrine looks especially fierce, don’t you think? 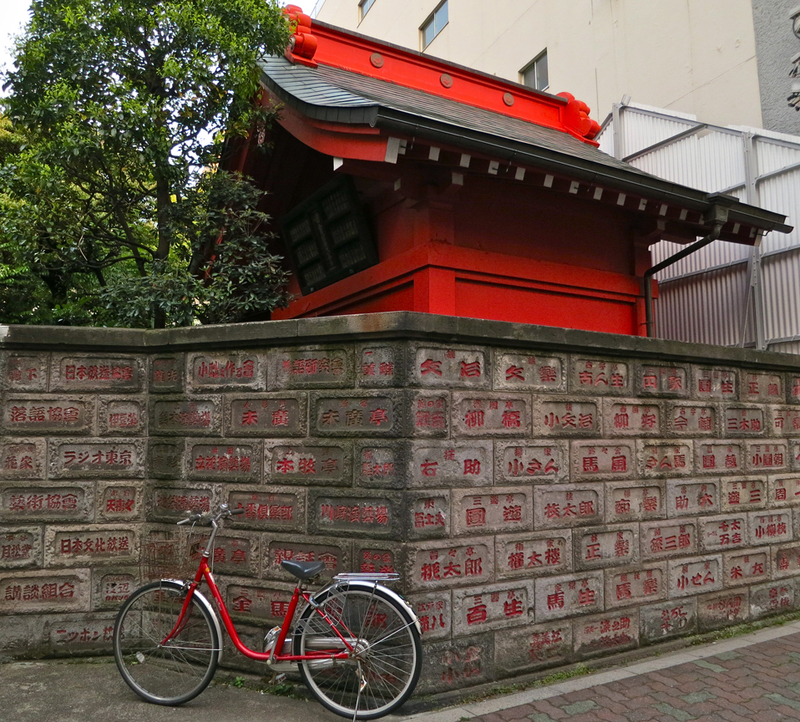 If you want to visit the tomb of the untold stories at the rakugo shrine the next time you’re in Tokyo, photos & info about Kappabashi Street and a map are on my website, The Tokyo Guide I Wish I’d Had. Hiroyuki Ootomo has not done a youtube since June. Is he OK? I visited the park in July but I think the rain kept him away. Hi Malcolm! Don’t worry – he’s fine! I think he’s performing less in the park since he started recording his stories and putting them up on YouTube. He’s been working on a bunch of new things, and says there will be some new rakugo videos up in January. Of course, you can always email him and ask him to come to Yoyogi Park or another gathering place or an event if you and/or your friends want to watch rakugo. He still likes to perform live too!